Move your mouse over the marked sections on the map to see thumbnails of that area. Then click to view an enlarged map. You can also download the maps as PDF files for PERSONAL USE only (right-click and select Save Target As .. ). To view it you will need a copy of Adobe Acrobat reader. 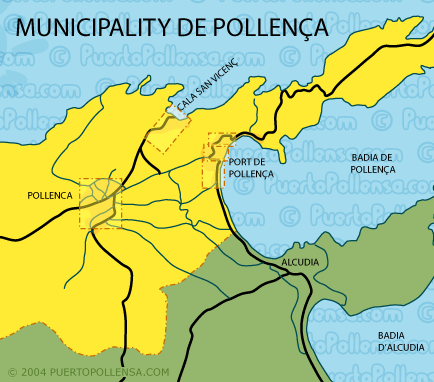 More Maps of Mallorca. to buy.